Networking is often seen as a hackneyed word associated with dinners and events. But, done properly, it can unearth untold benefits. For Ann-Marie Dunbar, networking has been a mainstay of her drive towards continuous fleet improvement. Since her appointment as Vodafone’s first dedicated fleet manager in 2013, Dunbar has been on a steep learning curve: initially getting to grips with 1,500 company cars, then being handed the multitude complexities of 500 light commercial vehicles after Vodafone acquired Cable & Wireless. “There has been a relentless focus on processes and efficiencies,” says Dunbar, who spent the previous decade in HR (see panel overleaf). 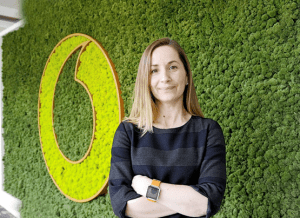 A key part of her learning and development has been networking with other fleet managers, both externally with those in other organisations and internally, as part of Vodafone’s global business. “I link into my Vodafone group counterparts, representing the UK at a global level, and I am also out in the industry understanding the direction we are heading and the legislation coming our way,” Dunbar says. Dunbar’s meetings with other fleets tend to be structured around the Vodafone fleet strategy and current priorities; for example, introducing telematics to the van fleet, which she did in 2014. The opportunity to liaise with Vodafone fleet decision-makers in other countries is a more recent occurrence. The networking group consists of 8-10 fleets in key markets. “In some areas the UK is more mature, but there are also ways we can learn,” Dunbar says. Dunbar has implemented a host of initiatives since taking on the role. Her first priority was to look at the ageing job requirement car policy with the purpose of tightening up controls in areas such as mileage capture. Then she turned to the user-chooser policy, and in particular the wide range of cars on the options list. Dunbar analysed the models drivers were ordering and condensed the user-chooser list down to 14 vehicles. The majority of the fleet now centres on four key manufacturers.